It is Wednesday, April 2nd and there are many things to share today. 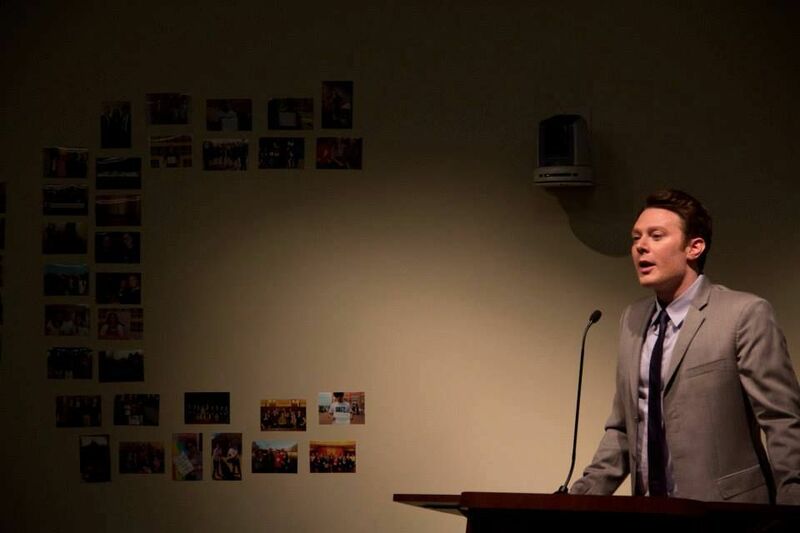 Clay Aiken…you are a busy man! 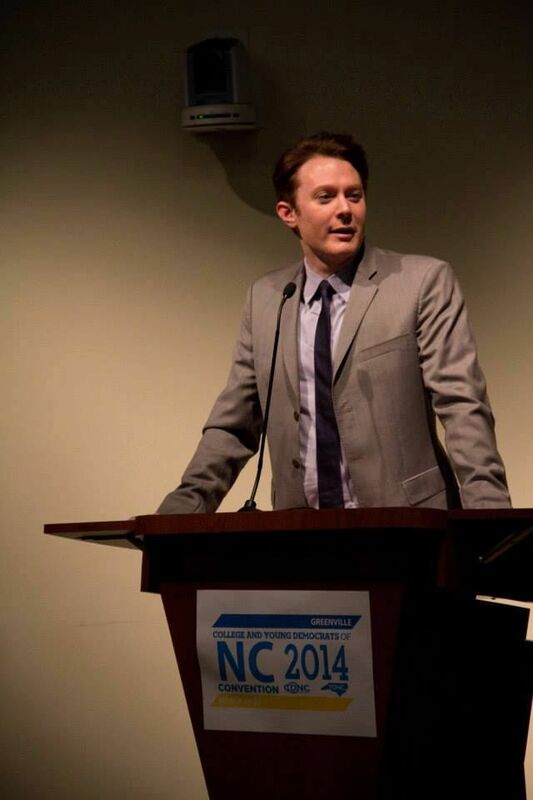 Last Friday night, Clay Aiken was one of the featured speakers at the College Democrats of North Carolina, Greenville Gala. Today, some wonderful pictures of the event were posted on the internet. 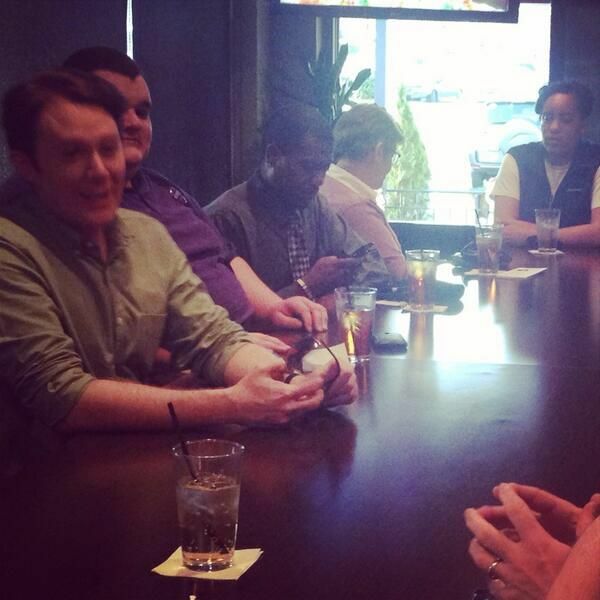 On Tuesday, April 1st, Clay visited with The Wake County Young Democrats. 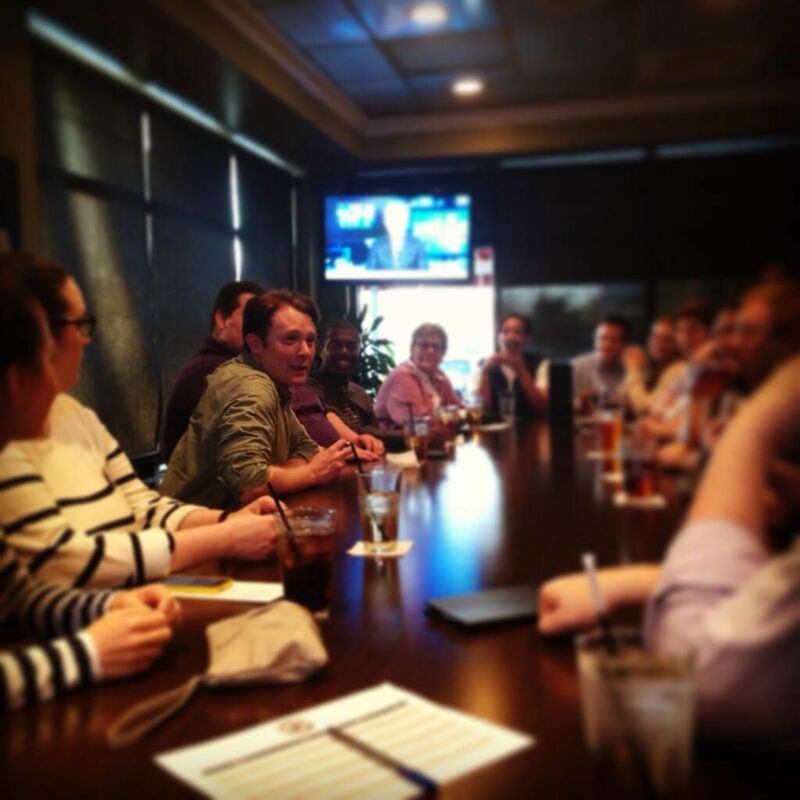 He met with the group at 6:30pm at the Tribeca Tavern in Raleigh. Looks like a fun place! 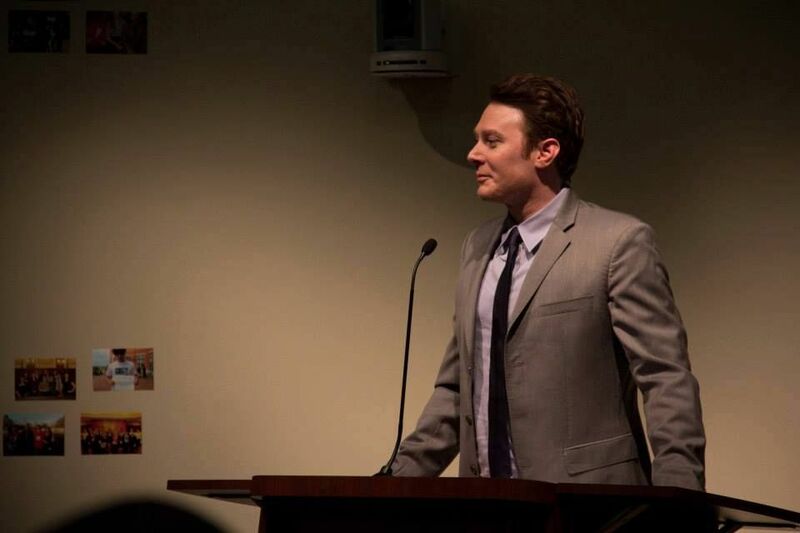 ‏@dallasbthompson 5m So excited to have @clayaiken join us at out @wakeyd meeting. We’ve got a full house to hear from Clay. It was announced on Tuesday that Clay would be attending the Young Professionals Reception on April 16th. The event starts at 6:00pm and is open to the public. Anyone who wants to attend should RSVP to events@clayaiken.com…….$25 – $50. When I have more details, I will post them. Congratulations to Clay and his team for running such an organized campaign. It is exciting to see all the amazing things that Clay is doing to meet people in North Carolina. I look forward to what each day will bring. Have you ever been to either of the above restaurants? 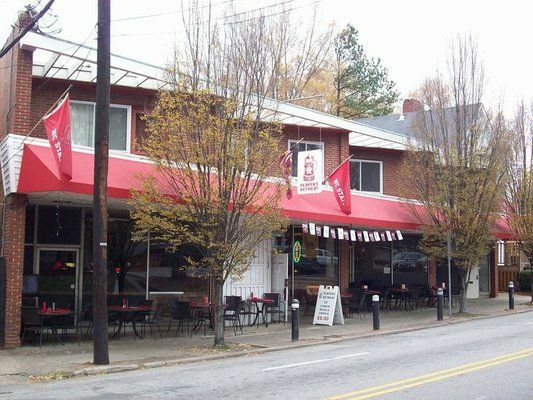 Sadly, I don't think I've been to either of those restaurants on my two visits to Raleigh. Perhaps THIS time when we all attend the Gala in Sept! Great pics of Clay! He looks so happy! Clay for Congress!! So nice to see so many pics of Clay, he sure is busy and seems to be enjoying his new venture, Clay for Congress!!! Thanks Martha. Thanks for all the Pics!!! I have not been to those restaurants. Maybe we will be able to when we go to the Gala this year. GO CLAY!!!!! I love seeing all the things that Clay is doing on the campaign. It looks like fun, but you know it is hard work too as Clay is always being watched and listened to. Thank you for posting all the information. Thanks so much for keeping us up to date on Clay's activities. He seems so relaxed and happy. Love the pictures. Following Clay's campaign has been unbelievably impressive and fun. Thanks for the coverage and keeping us up-to-date! I am not worried about whoever is tracking Clay as there is really nothing to hold against him unless it is pure fiction or distortion. Yes, he does appear to be extremely happy, and I am certain his chances of winning his first race are excellent. Error: Error validating access token: Session has expired on Tuesday, 21-Aug-18 16:13:01 PDT. The current time is Friday, 26-Apr-19 01:12:59 PDT.